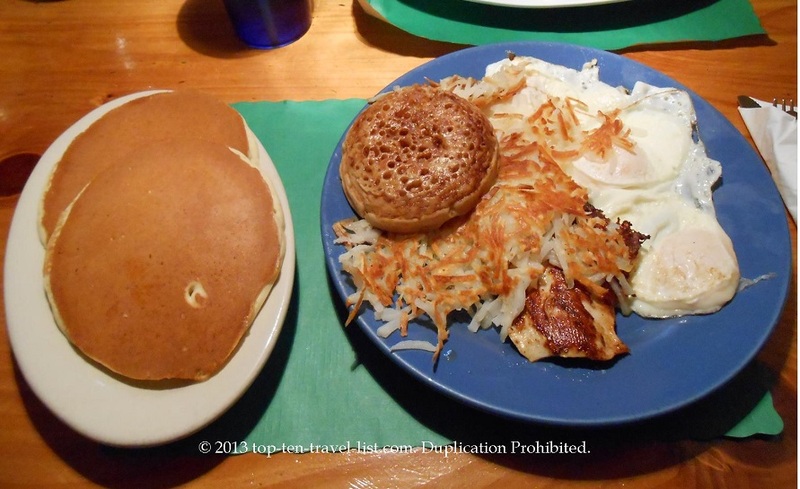 Persy's Place - New England's Largest Breakfast & Lunch Menu! - Top Ten Travel Blog | Our experiences traveling throughout the US. 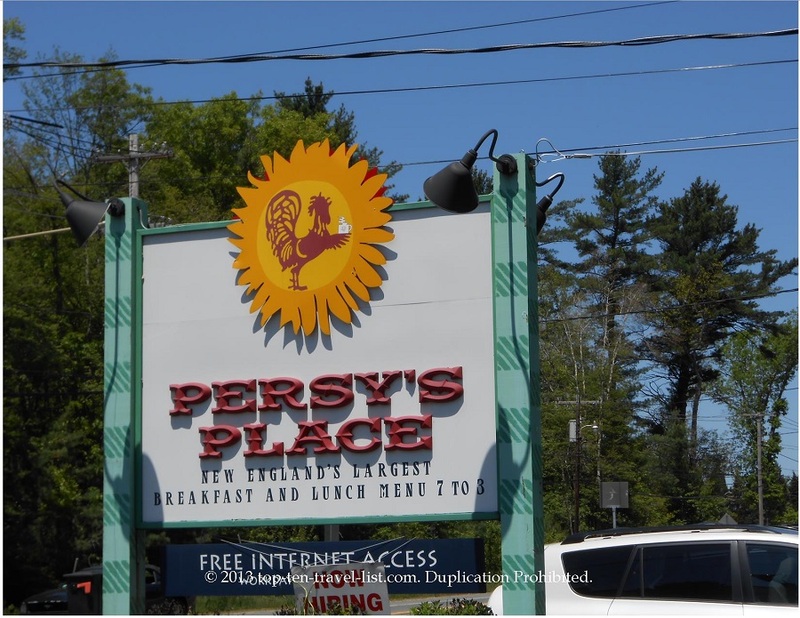 Persy’s Place – New England’s Largest Breakfast & Lunch Menu! 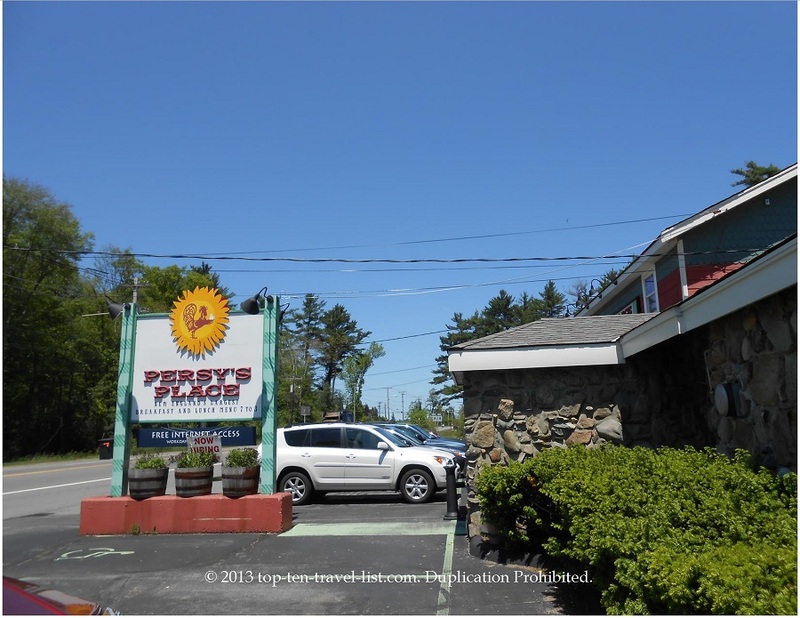 Persy’s Place is a local family style restaurants with locations across Southeast Massachusetts. They advertise their menu as being “New England’s Largest Breakfast & Lunch Menu.” I can see this being true! Compared to other restaurants in the area, the variety of menu items is astonishing! There are so many breakfast choices that it is a bit overwhelming. They even have an all you cat eat eggs or pancakes deal! In addition, daily specials are also offered. Persy’s Place has a warm, comfortable atmosphere. 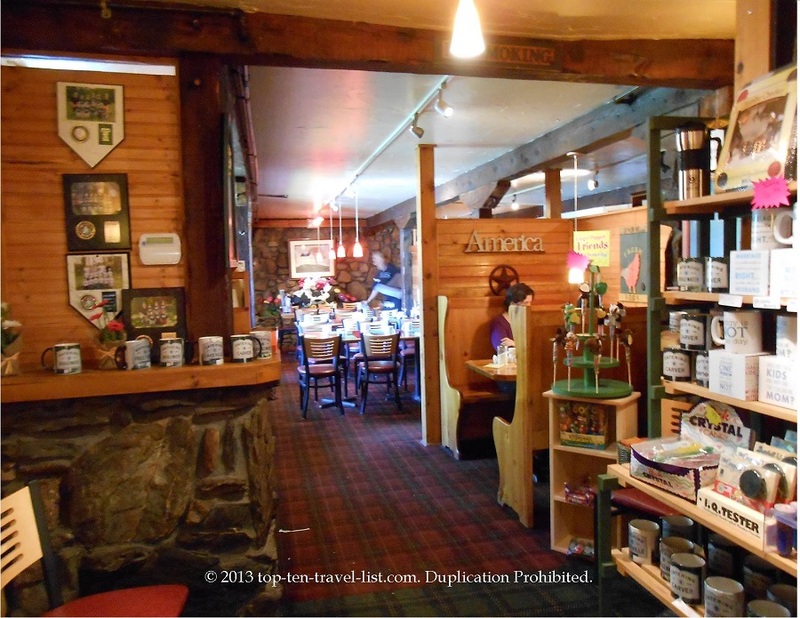 I love the wood decor and tables – it feels like you are dining in a log cabin. There are area souvenirs and unique games available for purchase. 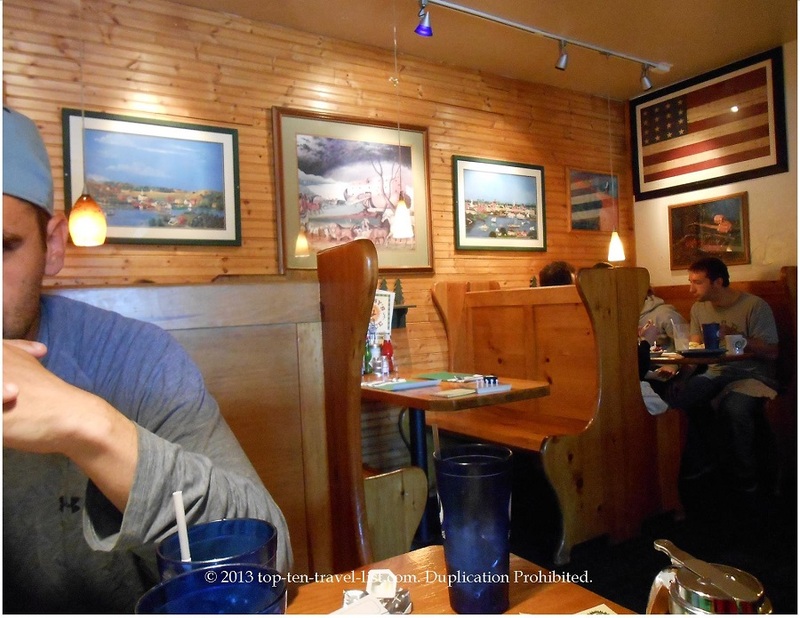 Each table has fun brain teasers games to keep you entertained while you wait for your food. We have been to several of the New England Persy’s locations. This time we headed over to the Middleboro, Massachusetts location. Service was good, food came out fast, and prices were very reasonable. I ordered the New England Harvest Quiche, which was a delicious home cooked combination of zucchini, squash, and tomato made with egg whites. Very good! 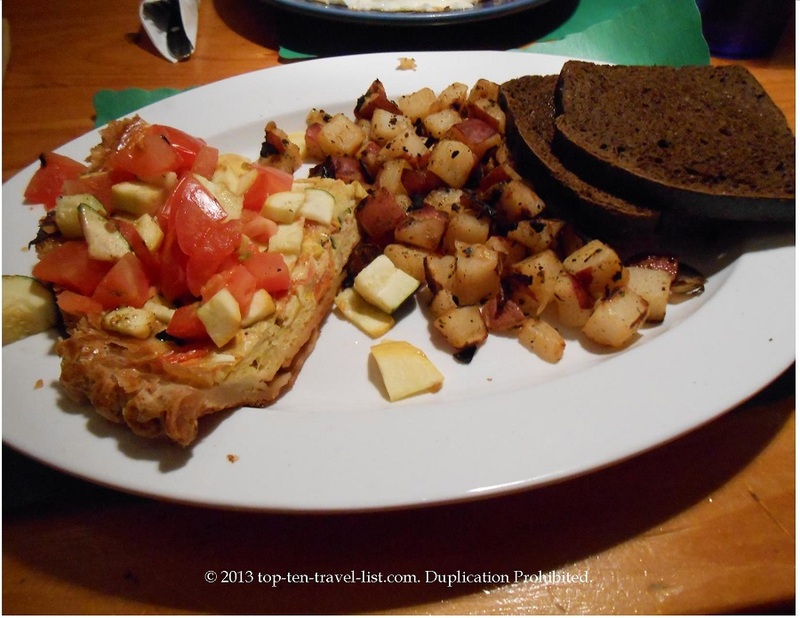 Most entrees are served with 2 sides of which you have your choice – I went with the home-fries and Pumpernickel toast. You will have your choice between about 10 different sides. Mike ordered The “Dapper Dan” special, which consisted of 3 eggs, 2 buttermilk pancakes, and grilled Chicken Caesar. He also had this choice of 2 sides in which he opted for hash browns and a cinnamon crumpet. He enjoyed his meal as well. Persy’s Place has plenty of options for everyone with their enormous menu. If you are looking for vegetarian, healthy, or special diet options you will find them all on this menu. Whole grain and egg white substitutions are available on many items. I definitely recommend Persy’s Place for an enjoyable meal served in a friendly, cozy, woodsy atmosphere. Check out the breakfast and lunch menus!